I can’t recall the last time a January theatrical release flabbergasted me with this much quality that wasn’t a “Paddington” movie since the pleasant surprise of “Chronicle” almost seven years ago. “The Kid Who Would Be King” comes to us courtesy of Joe Cornish, director of the painfully underrated “Attack the Block,” which is worth watching on its own merits beyond the kick of hindsight due to featuring John Boyega and Jodie Whitaker before they became contributors to Sci-Fi iconography. The tale pitched by the trailer of bullied geek Alexander Elliott’s discovery of Excalibur and his rise to the call of heroism to face the evils unleashed upon the world by an eternal feud between Merlin and Morgana isn’t quite inaccurate but doesn’t really encompass the charm of the feature itself. 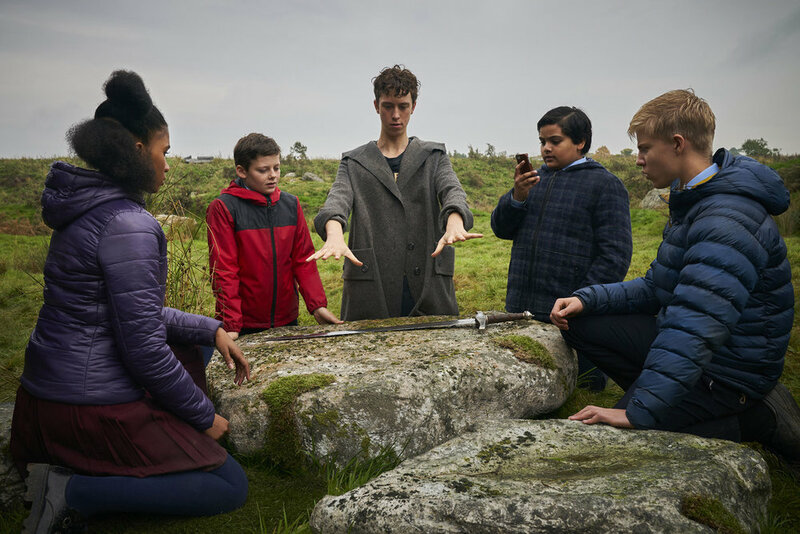 “The Kid Who Would Be King” is definitely a retro love letter to fantasy kids faire from 20 to 30 years past, wrapped in the perspective of its audience who thinks reputations and avoiding parental groundings is more challenging than saving the world. What works so exceedingly well about it is Cornish’s sincere commitment to the material and the heart and humanity he manages to inject. The structure is familiar but the turns it takes are clever and relatable as these kids feel less like archetypes and more like real kids dealing with real problems. Even the bullies receive a believable degree of dimension that offers a brilliant tie into Arthurian chivalric themes about how hard it is to be the better person you know you’re capable of being, in a modern connected world that’s constantly reporting doom and gloom. The intricacies of the human drama and the manner in which it plays upon the structure of kids fantasy stories and Arthurian themes, as delivered by a deftly crafted script and performances by kids that show a lot of promise in their field, breathe new life into something that could have easily been a painful, throwaway dead-season theatrical dump. It’s far from a perfect movie, mind you; the third act, although creative in its set piece construction is a bit less clever than the buildup of the rest of the movie, which can be occasionally bogged down by humor that has a few noticeable misses, and those same bullies that manage to show lots of depth also manage to do so via the sheer conveyance of their actors more so than what’s written for them on the page. Despite those hiccups, “The Kid Who Would Be King” is already on track to be one of the biggest cinematic surprises I’ve had all year, as, if the box office is any indication, it seems to already be clinching the most tragically underappreciated feature currently playing in cinemas.